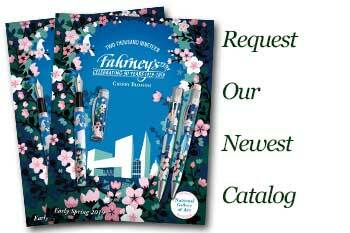 Order your Sheaffer Prelude Black Fountain Pen today from FahrneysPens.com. Fine Pens, Refills & Luxurious Gifts – great prices & fast shipping. The Sheaffer Prelude Collection combines classic design with a comfortable, wider profile for a pleasurable writing experience. Featuring a unique pearlized insert on the crown, each Prelude writing instrument bears the Sheaffer quality mark of style and fine writing. 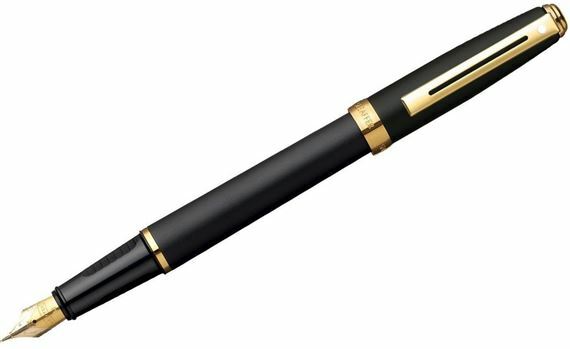 This black lacquer with gold trim fountain pen has a 22K gold-plated nib. The Prelude fountain pen and rollerball have ergonomic grip sections for extra comfort and control when writing. Available in fountain pen, capped rollerball or twist ball pen. Fountain pen uses cartridges or converter.